Friendships can mean the world, in life and in business. And as we finish the building of our newest location in the Dallas/Plano area, we’re thrilled to have one of our longtime friends working behind-the-scenes on a piece so special to what Intermezzo provides. Jesse Orozco, owner of Orozco Espresso in Southern California, has known our founder, Brian Olson, since before Café Intermezzo first opened its doors in 1979. Brian and Jesse met while both working for a Los Angeles-based company called American Best Coffee, which imported espresso machines and pasta machines from Italy. Now, forty years later, Jesse remains ‘the guy’, the craftsman...the artist, for the building of our machines. "Coupled with our long friendship, Jesse represents the true artist, in every sense of the word, who embraces the experience, the expertise, the passion, the love for all things espresso," Brian said. 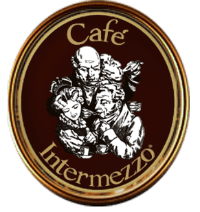 "He is the master of integrating form and function...truly the only genius I trust to merge caffé express, coffee extraction efficiency, and beauty into 'la machina' which I have named The Café Intermezzo Caffé Fantastique!" The machine - 'la machina!' - will be specially transported to Plano, Texas in early February. We can’t wait for you to give it a try! Go behind-the-scenes in the buildout of our newest espresso-producing masterpiece with Jesse Orozco, longtime friend of Café Intermezzo.